With numerous destinations throughout Europe, Eurostar enriches the life of its travelers by enabling real connections between people and cultures. However, various crises over the recent years has had a negative impact on the brand reputation. So to launch and spread the word about their new fleet of trains, Eurostar wanted to shine a light on all the opportunities that unfold as soon as you step on board. Bring the train in its full length and glory to an already existing community. 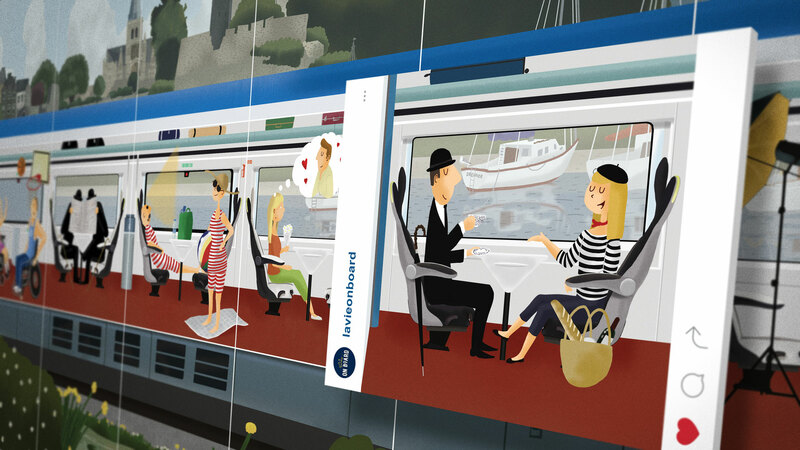 Created with renowned artist Max Dalton, @LaVieOnBoard is an illustrated and artistic interpretation of life on board Eurostar’s newest train – the E320. Spanning almost 200 squares and 12 coaches, the canvas gives a unique glimpse of the London - Paris journey and immerses the viewer in a story told through the many travelers on board. Each individual post, still image or video, either highlights a new train feature, contains hidden offers, informs about the different destinations, or simply tells a little story. On the week of the launch, the official @Eurostar account increased its following with +10% due to positive reactions on the @LaVieOnBoard account from numerous users and media outlets. 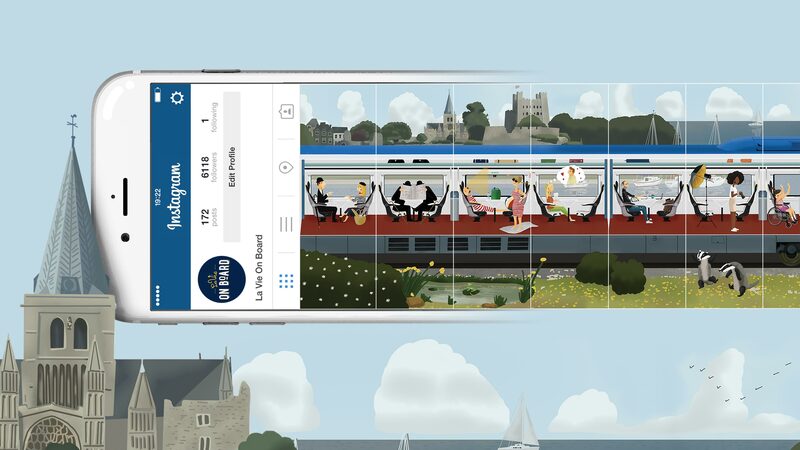 And with 9,667,264 impressions to date, generated only on Instagram, the campaign is overall contributing to a strong positive impact on Eurostar’s brand reputation.